Here in Florida we are lucky to have our own brand of Bigfoot/Sasquatch. Affectionatley known as the "Skunk Ape", folklore and stories of this creature abound and has been reported as early as the first settlers. If the creature does not exist then why would politicians in the Florida House try to pass a bill to protect anthropoid or humanoid animals? State Representative Paul Nuckolls wanted to make it a misdemeanor to capture or harass a skunk ape. “I’d hate to see someone catch one and put it in a circus or in a zoo,” remarked Representative Nuckolls. The bill never passed into law but that hasn’t stopped discussions about trying it again. 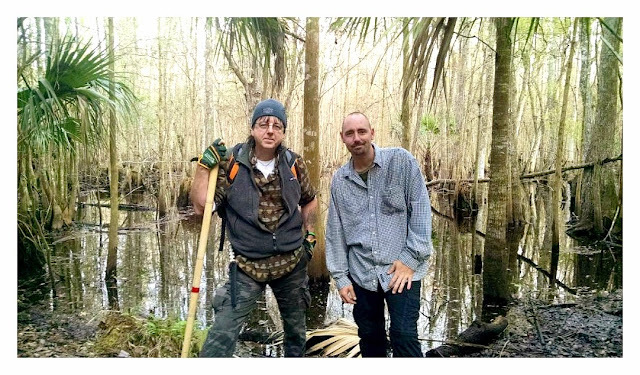 Stories relating to Skunk Ape encounters may go back to early Indian legends, which speak of giants living along the Kissimmee River, and the “Sand People” and “Mangrove People.” Some believe these legends were describing skunk apes. Worthy of consideration is the historical account of Henry Tanner, an early pioneer in Orange County, who told about “finding Indian graves on the St. Johns River with skeletons as big as giants and skulls that would fit over a normal man’s head.” In 1935, workers excavating shell from an Indian mound unearthed “a human thigh bone that was as long as a man’s whole leg.” Were these skeletal remains of very big humans, or perhaps an unknown bipedal creature? Once again we are left holding the bag filled with more strange stories. In 1959, three boy scouts emerged in a panic from the Ocala National Forest with a wild tale of having been routed from their camp by a big, hairy monster. They said the thing had a human face and the body of an ape. Now this might be easy to dismiss as a boyish yarn if not for hundreds of similar stories. Take the case of a long-distance trucker that pulled into a rest stop along I-75 one night to catch a few winks. The trucker recounted how he was pulled from the cab of his truck by a hairy, Bigfoot creature. “It came right out of the dark and tried to get in the truck.” The thing carried him under one arm for several yards. “My face was pressed into its hair” the man told a reporter. “It smelled awful.” The trucker was able to kick himself free and made it back to his truck. The ape creature began pounding on the truck but after the driver gave a few blasts on his air horn the thing ran off into the woods. 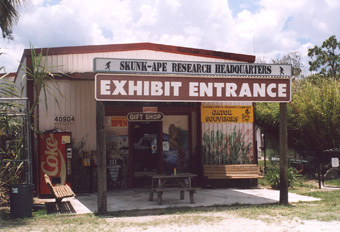 In almost all skunk ape encounters, witnesses describe an obnoxious odor, a stench similar to rotten cabbage or a skunk. It’s this skunk-like stink that gives the skunk ape its name, although old timers in rural areas often refer to it as a “swamp monkey.” My theory, if this thing really exists, is that when the creature is upset it gives off musk. This is not just a slight scent, witnesses have described it as extremely putrid, and strong, enough to discourage anyone from getting too close. 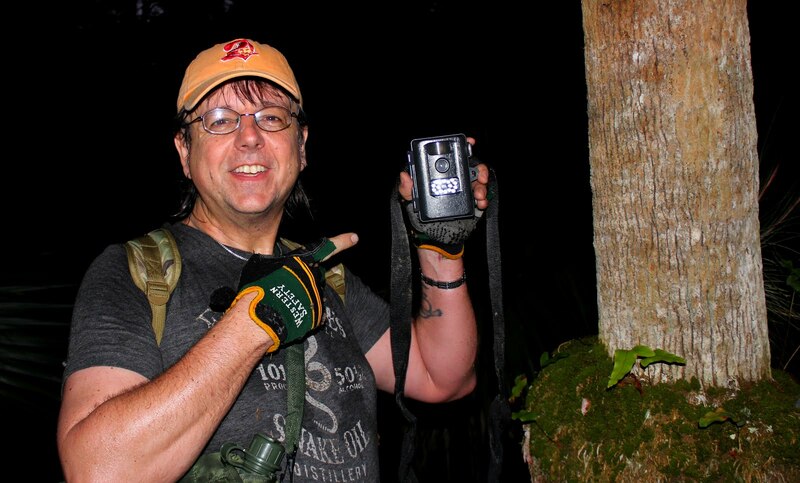 What makes Paul’s story so interesting is that I have heard three separate and unrelated stories about skunk ape sightings in the same area. 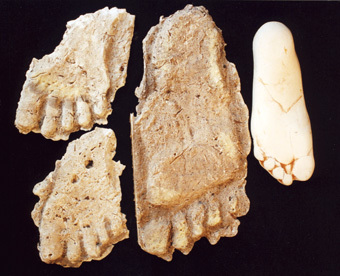 About eight miles to the south of this area, Jack Simmons, a hunter from Melbourne found several large foot prints of which he later made plaster casts. A decade earlier, on Arial Road north of Oak Hill, a girl suffered a broken arm after being thrown from her horse when a large hairy man-ape crossed her path. This part of Florida is a vast wilderness area that stretches westward from the Merritt Island Wildlife Refuge to the St. Johns Wildlife Management Area. With the exception of the highways that cut through this area, a large animal could easily move around here without being seen by humans, well at least most humans. I was once asked by a staunch skeptic of anything weird, “If skunk apes exist, then why hasn’t anyone seen one?” Obviously he had not been listening. One evening in November 1966, a woman driving on a remote county road near Brooksville had a flat and a typical encounter with the ape-man. She pulled to the side and retrieved the spare from her trunk and proceeded to change her tire. She first ignored then strange odor permeating the air thinking a pole cat was near, but then she heard heavy footsteps on the opposite side of the road. She had just finished putting the spare on and was tightening the lug nuts when she turned and saw a seven foot tall, human-like creature standing on the other side of the road. It walked upright, had a face like a man, and was covered with shaggy, dark fur. In a newspaper account she estimated that it weighed at least four-hundred pounds. It seemed curious at what the lone lady was doing and squatted beside the road to watch. About that time another vehicle came along and the thing vanished into the swamp leaving us to wonder about another skunk ape story. Perhaps the best skunk report was the one made in February 1971 by five archaeologists excavating an Indian mound deep in the Big Cypress Swamp one of the most isolated areas of Florida. I favor this one because it involved multiple witnesses, and presumably credible scholars in anthropology. The five men told of an unwelcome beast that crashed into their camp in the middle of the night and generally wrecked the place before running off into the swamp. The intruder was described as a large biped primate, without a neck, being 7 to 8 feet tall, about 700 pounds, and covered with shaggy white fur. The team later found footprints measuring 18 inches by 11 inches wide. Typical of other encounters, the witnesses complained about a sickening odor that lingered long after the creature had departed. What I find curious about this account, and a few others, is the white fur. It would seem that a hoaxer would fabricate a story or costume involving something with dark fur. 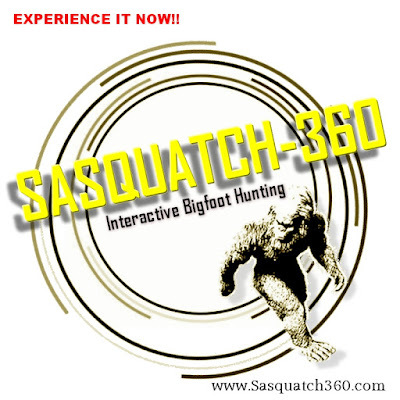 A skunk ape with white fur just doesn’t fit the Bigfoot stereotype––unless there are some senior citizens of the Sasquatch clan running around the woods. In January 1974, the Hialeah Gardens police department responded with a helicopter search along a section of highway U. S. 27 after a motorist reported to the Florida Highway Patrol that he had hit a 7 foot tall hairy creature that was crossing the road. The shaken motorist said that after hitting the thing, it attacked his car and made threatening growling sounds before limping off into the swamp. One of the police officers involved in the search for the monster spotted the big hairy ape-like creature about five miles from where the motorist had struck it. While the incident was reported in several newspapers, and personnel from both the law enforcement agencies recall the incident, there are no official records relating to the event since no formal charges were filed against anyone. Hard physical evidence of the Skunk Ape is lacking, other than a few questionable plaster casts of footprints. Although, some hair samples were submitted for analysis and in 2000 even a few photographs were taken of an alleged skunk ape in Collier County. There were no scientific conclusions from the hair samples and the photographs have been disputed by the experts as probable hoaxes. Skeptics have asked “Where are the bones? Surely skunk apes must die and leave behind skeletal remains. The answer is simple, we know that deer and bear exist in the woods but try to find a bear or rabbit skeleton. Bones simply do not last long in Florida’s subtropical environment. Larger bones, like from a deer or a large primate will survive a little longer but not without being scattered by other animals, gnawed on by rodents, and over a short span of time deteriorate and become part of the soil. If this wasn’t true, then with all the animals that have died in the woods, the forest floor would be a carpet of bones. So the bone issue isn’t a good method of discounting the possible existence of an unknown primate or any other creature. The Florida Fish and Wildlife Commission knows about the Skunk Ape. The agency frequently receives inquires from people wanting a permit to hunt the thing. 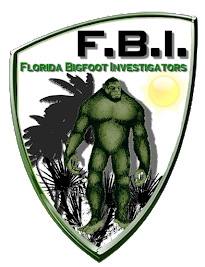 The agency doesn’t issue such permits, but their informational office keeps file of skunk ape newspaper reports. I guess that’s just in case the thing turns out to be real, then they’ll have a ready and waiting file. Even the U. S. Fish and Wildlife Agency has heard of the Skunk Ape, in a 1977 news release they discussed how they would handle the matter if Bigfoot creatures turned out to be real. Basically they’d put it on the endangered species list and arrest anyone trying to mess with it. 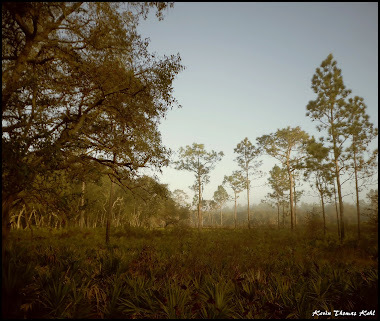 There are a few areas in Florida that are still inaccessible to most humans, these are the vast swamps and state protected wildernesses. These places could easily conceal secrets from the general population including a Skunk Ape. Much of Florida’s wild habitat is being destroyed by development and perhaps it is the encroachment of civilization that is forcing an unknown primate species to occasionally cross paths with humans. Skunk Ape sightings tend to rise and fall with the peaks and valleys of development in Florida. I think that says something, I don’t know what, but it’s certainly should be studied. If there is a conclusion to the Skunk Ape enigma, it would be that credible people, often professional people, have seen something that appeared to be a giant, two-legged, shaggy creature that stinks to high heaven. As a local swamp tour guide who saw one remarked, “I’ve been out in the woods all my life and I’ve never seen anything like it.” What these witnesses have seen remains a mystery, however if you are outside at night, and the crickets stop chirping, and you begin gagging on a foul odor…go grab your camera because you might be about to have an encounter with Florida’s Skunk Ape.